iCloud is a cloud storage and cloud computing service from Apple Inc. With your Apple ID and iCloud, you can easily transfer anything to iCloud for backup and syncing. If you have lots of movies on DVD, you may want to upload the DVDs to iCloud so that you can watch them when you want without having to insert a DVD into a DVD player. However, iCloud does not offer a facility for syncing DVD movies. To store DVDs on iClound, you may have to rip DVD to iCloud supported file formats first. 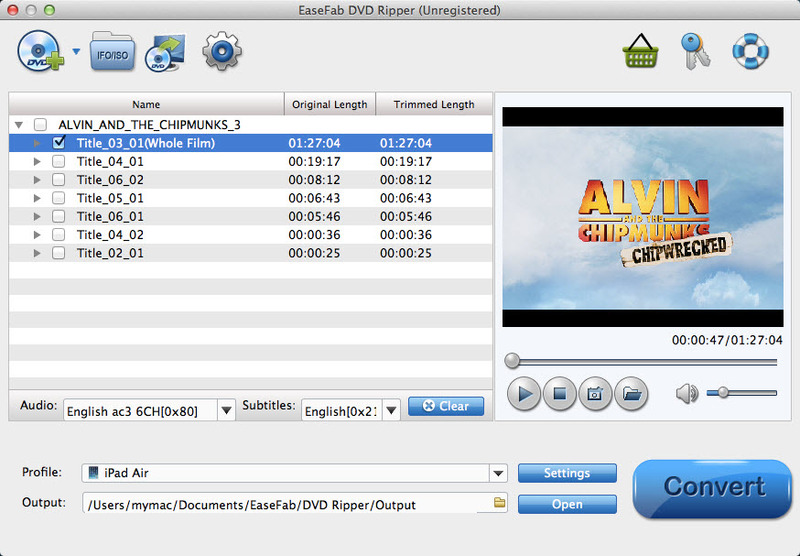 To convert DVD to iClound format on Mac, here EaseFab DVD Ripper for Mac (Yosemite/Mavericks compatible) is highly recommended. The program provides good quality output regardless of the end device that you are going to use. It can convert DVD to iCloud supported QuickTime MOV or MP4 in simple steps. Besides, you can crop the black bars, add special video effects, split or merge videos, etc. as you like with the built-in editor. If you're using a Windows PC, simply turn to EaseFab DVD Ripper (Windows 8/8.1/10 compatible). Just get it and rip videos from DVD disc to iCloud supported videos for storing, syncing or playback without hassle. First, of all the process starts at the DVD drive, insert your DVD in the drive, then launch the Mac DVD ripper software of which in this case is EaseFab DVD Ripper. Add or load your DVD movie or your ISO file in the DVD Ripper. fter you have successfully completed loading your DVD, select the output format and folder. If you do not have a ready folder, create one where you can easily locate it. 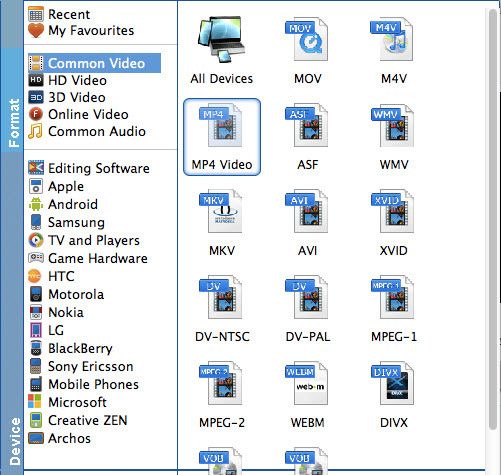 The video formats available are M4V, MP4 or MOV. In this case, we shall select MP4 Video from the Common Video choices only for description purposes. However, if you just want to upload DVD to iCloud for enjoyment on some device like iPhone, iPad, iPod or Apple TV, there is a better output format of choice for you. 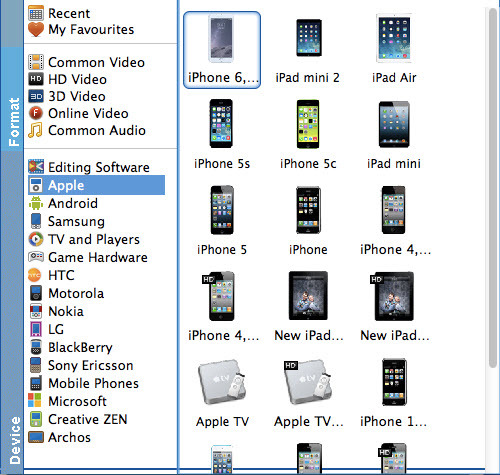 The format window contains almost all popular devices here. Just select your wanted device as the output format, which is the most suitable format for the device. Take iPhone for example, just go to "Apple"> "iPhone 6, 6 Plus". After selecting your desired format and the destination file you can opt to make changes or settings and if you are OK with the way the format is click the "Convert" button to initiate the conversion. When the conversion is done, you can click on "Open" button to locate the ripped videos. That's all! When the conversion is finished, you can log on your iCloud and transfer the converted DVD files to iCloud smoothly. Sounds great? Just free download EaseFab DVD Ripper to try it by yourself right now!